CENTRAL Wheatbelt MLA Mia Davies says the decision to approve a landfill 18km away from WA’s oldest inland town is a blow to the community. The York community has been fighting SITA’s proposed waste facility since 2012, when the Avon Valley Gazette revealed SITA was in talks with the Shire of York. 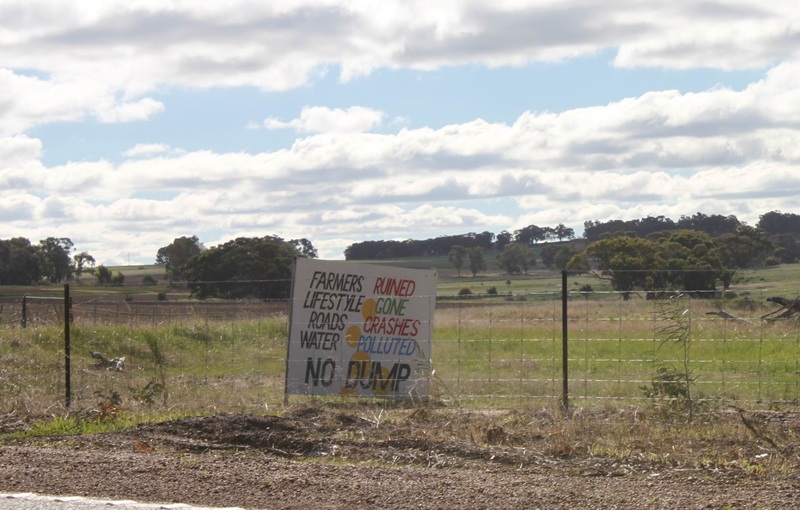 A Wheatbelt Joint Development Assessment Panel rejected SITA’s planning application for the tip, which would process waste from the Perth Metropolitan area, in 2014. At the time, the panel said the tip would be inconsistent with the objectives of an agricultural area. The rejection was met with applause from a crowd of about 120 locals. In August last year, a JDAP again rejected the proposal. Despite those decisions, on Tuesday, the State Administrative Tribunal approved SITA’s proposal for the landfill. Ms Davies said residents had opposed the proposal from day one and made reasonable arguments as to why the waste facility should not proceed in that location. She said she was concerned about increased traffic movements on a winding road and how it would impact on the amenity for tourists and locals driving in and out of the historic town. “I am also concerned this spells the beginning of other similar developments in the Avon arc and Wheatbelt as the Perth metropolitan area’s volume of waste continues to increase,” Ms Davies said. “While some communities in the electorate may see this type of development as an opportunity for jobs and economic diversification, this is not the case in York.